Born on 31 January 1988, Gregory Nelson is a Dutch professional footballer. He has played as a winger for some prominent clubs around the globe, namely AZ Alkmaar, RBC Roosendaal, CSKA Sofia, Metalurh Donetsk, Botev Plovdiv, Kaisar and Al-Muharraq. He is currently serving as an icon player for Chennaiyin FC in the Indian Super League. Gregory has been a bright player from his childhood as he earned a youth contract in the leading team - AZ Alkmaar, the highest professional football league of Netherland, Eredivisie. He was a part of silver medalist squad of AZ Alkmaar U17 in 2004-05 at Youth EK U17 tournament. His skills earned him a place in the U17 youth team of Netherlands in 2004-05 and his four goals in six games made him a youth sensation of the country. After AZ Alkmaar, Gregory joined RBC Roosendaal on loan. He made a total of 15 appearances for RBC and impressed all but was unfortunate not to score in any goals. Due to his promising games, RBC offered a year contract to the young lad for the 2009 season and Gregory did justice to the trust shown in him as he scored five goals in the 16 games of the season. He signed a two year contract with a Bulgarian football club, CSKA Sofia, in the mid 2010. He made 37 appearances and scored five goals during his tenure with the club. In January 2012, he signed for Ukrainian club, Metalurh Donetsk on a three-and-a-half year contract. On 11 March 2012, Nelson made his official debut for the team, playing the first 74 minutes of the 1-1 home draw with Metalist Kharkiv in the Ukrainian Premier League match. Several months after the bankruptcy of Metalurh FC, on 9 October 2015, Gregory returned to Bulgaria and signed a contract until the end of the season with Botev Plovdiv. He scored a winning goal against Pirin Blagoevgrad in his debut match for the club. 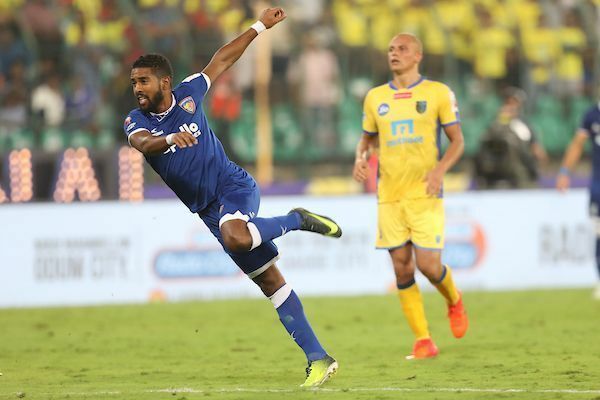 Nelson signed for Kazakhstan Premier League side FC Kaiser and Bahraini Premier League side Al-Muharraq for the season 2017 and became a part of Chennaiyin FC in ISL for the season 2018. Nelson became a brand due his magical passing skills and dominant aggression in the field. He broke the headlines when he scored twice while playing for Botev Plovdiv in the 2-4 away defeat from Litex Lovech and was adjudged the Man of the Match, despite his team's loss. Nelson also featured for the Ukrainian giants, Metalurh Donetsk in the Europa League while also reaching the finals of the domestic cup. After being released by RBC Roosendaal in 2010, Gregor was without a club for about six months due to his inconsistency in the prior club. On 6 March 2016, Nelson scored a controversial goal during the 1-1 away draw with Beroe Stara Zagora and was chosen Man of the Match. However, in an interview immediately after the game, he admitted that the ball hit his hand before he scored the goal.